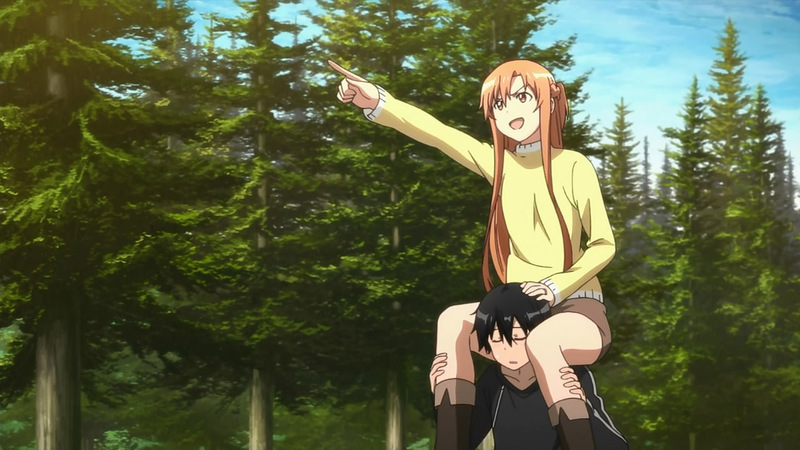 Shoulder ride huh. . HD Wallpaper and background images in the सोर्ड आर्ट ऑनलाइन club tagged: sword art online. Is he दिखा रहा है his strength द्वारा crushing the bottle?